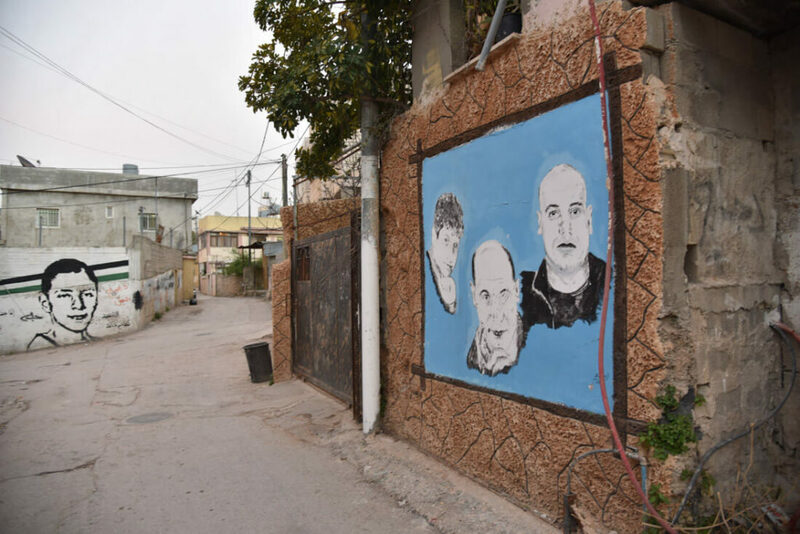 While traveling in Palestine, I decided to spend a couple of nights in Dheisheh, a real Palestinian refugee camp, located on the outskirts of Bethlehem. In 1948, after the Arab-Israeli war, hundreds of thousands of Palestinians were expelled from their native villages and cities, being forced to seek refuge in the West Bank, Gaza, Lebanon, Jordan and Syria. The land they left behind, known today as Israel, became a mere nostalgic memory to them. Bethlehem, an important city in the West Bank and the birthplace of Jesus, was a prominent place for taking in refugees, setting up several refugee camps, Dheisheh among them, the second largest Palestinian refugee camp and the place where I decided to stay for a couple of nights. 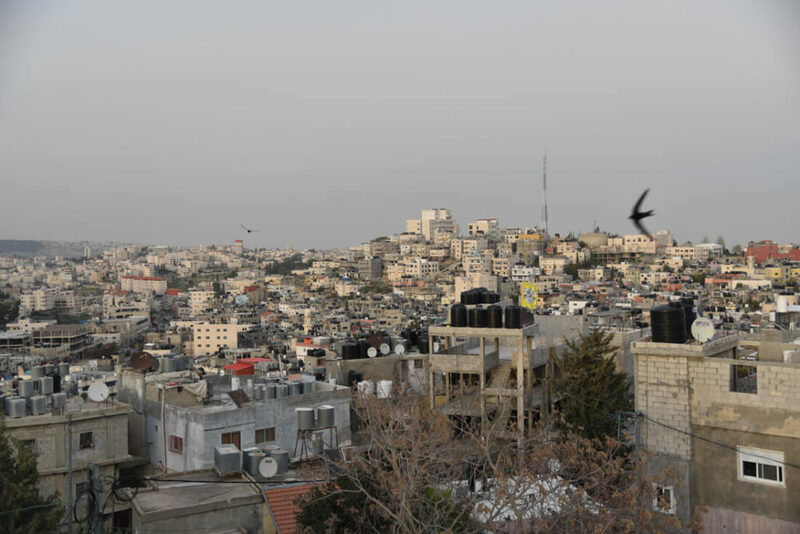 How does one end up staying in Dheisheh, a Palestinian refugee camp? The Palestinian refugee camps in the West Bank have been going for nearly 70 years. At the beginning, these camps were set up on dusty waste ground, full of hunger and misery. However, since the Israeli occupation seemed to have no end, Palestinians had to accept the new reality and started making these camps their actual home, to the extent that, over the decades, they built houses, paved the streets, opened shops and, of course, created families. This is how Ibrahim was born, a 40-year-old man, the son of a now deceased refugee. 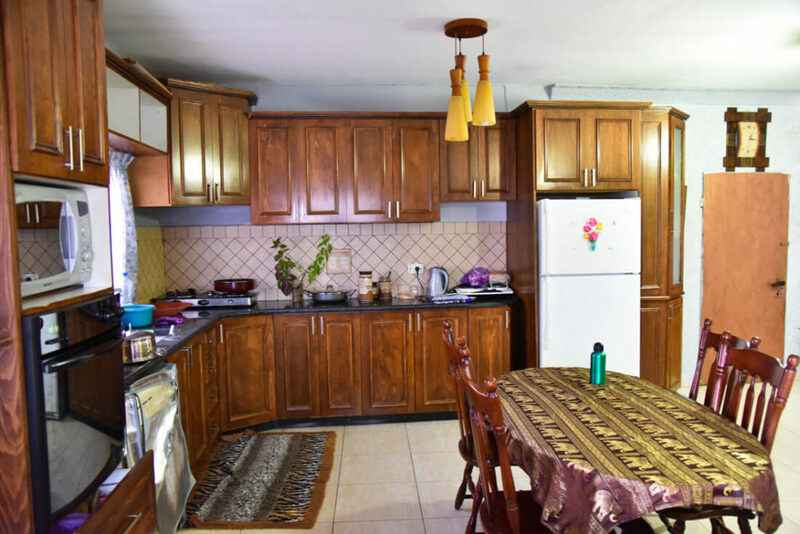 Ibrahim wanted to break barriers and prejudices, so listed his home on Airbnb, with the objective of offering travelers a chance to experience real life in a Palestinian refugee camp. 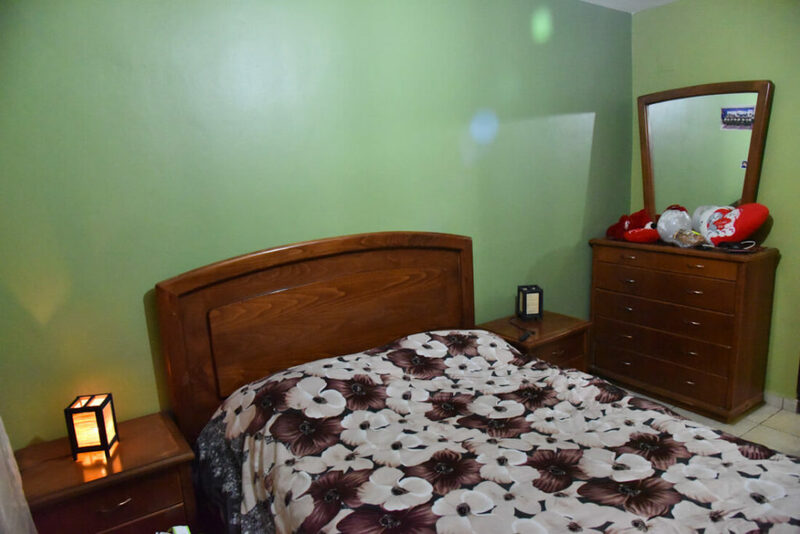 A room located in a Palestinian refugee camp which can be rented through Airbnb? Yes, it is true. I discovered it by mere chance, as it was the cheapest room I found in Bethlehem. I really liked the idea of spending a few nights in a camp, so I didn’t have to think much further. 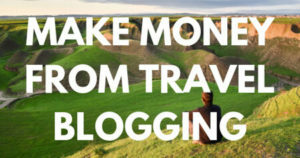 Remember that if you create an Airbnb account through my link, you can get up to 35€ of free credit on your next booking. 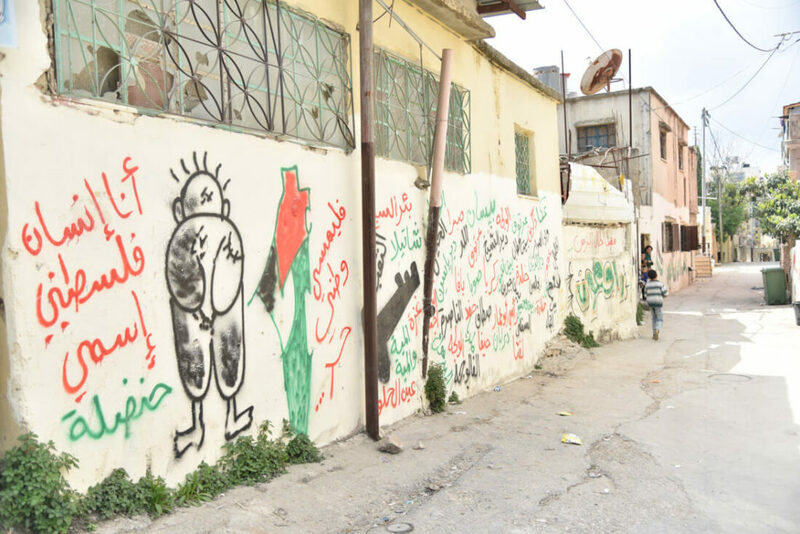 What’s it like staying in a Palestinian refugee camp? 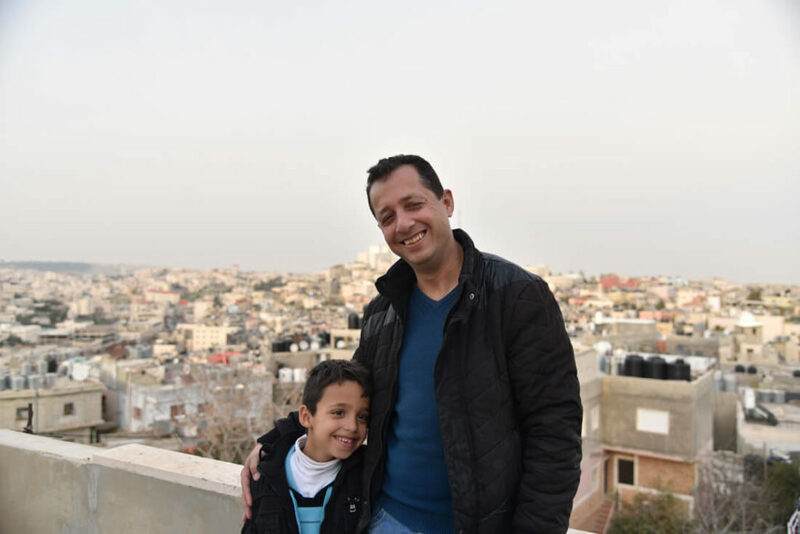 Ibrahim, a man whose father had invested loads of resources in providing his son with a good education, was quite different from the average Palestinian I met in the camp. He spoke English fluently and had a lot of knowledge about the history of Palestine. 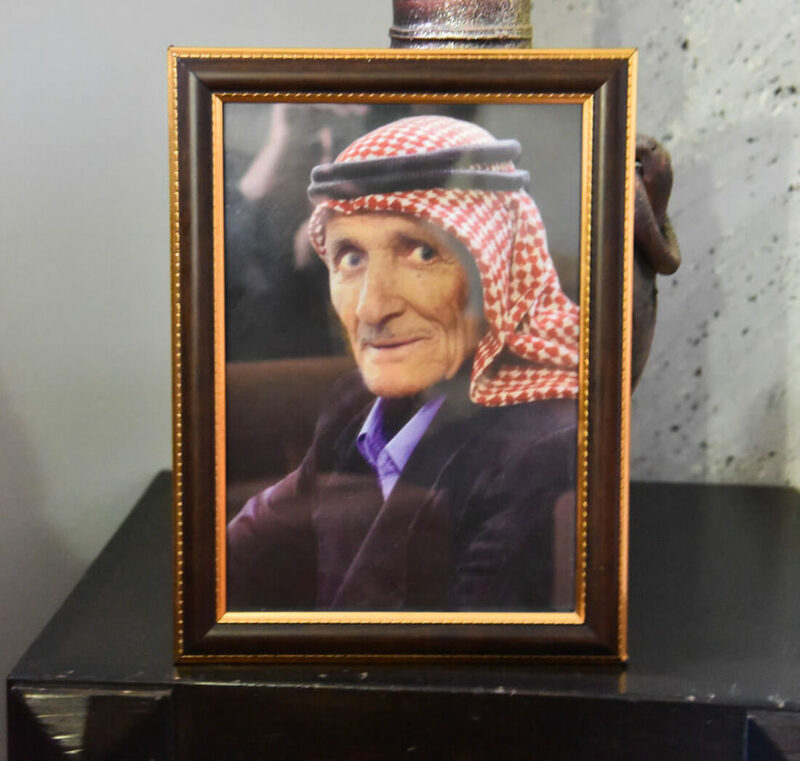 I wasn’t surprised by the fact that he was not a religious person at all and he was the pioneer in promoting tourism in Dheisheh. Staying in a Palestinian refugee camp was such an enriching experience! However, to be honest, before my arrival, when I saw the pictures on the ad, I was expecting Ibrahim’s place to be a dark and sad place. 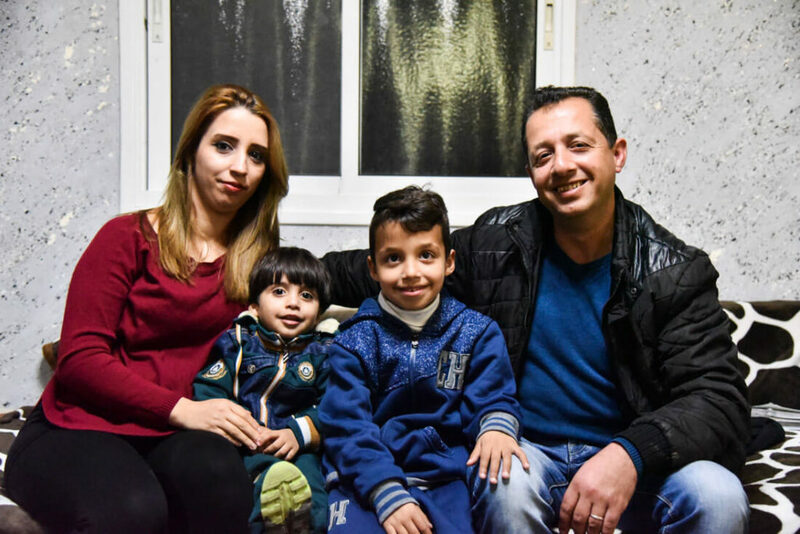 When Ibrahim picked us up and we arrived at his place, I could easily appreciate that I was in a house belonging to a middle-class Palestinian family, which was so clean and well-equipped, a Westerner could feel comfortable. Ibrahim is married to Aya and they have two sons: Aws and Ayham. The same day we arrived at their house, they found out that she was pregnant with her third child. 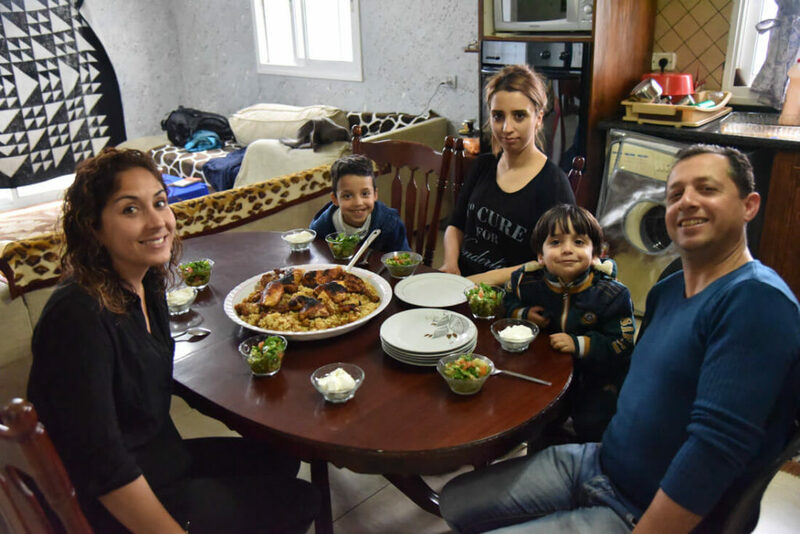 Ibrahim’s family are a traditional family but, at the same time, they are more liberal than the average Palestinian family. Aya doesn’t speak English fluently but she tries to participate in all the conversations and she seemed to enjoy our company very much. We quickly realized that we were not just their clients but they really wanted to build a friendship. Aya is amazingly skillful in the kitchen and, as well as preparing us an awesome breakfast, she cooked Makluba, a traditional Palestinian dish, consisting of rice, fried cauliflower, spices, and chicken. 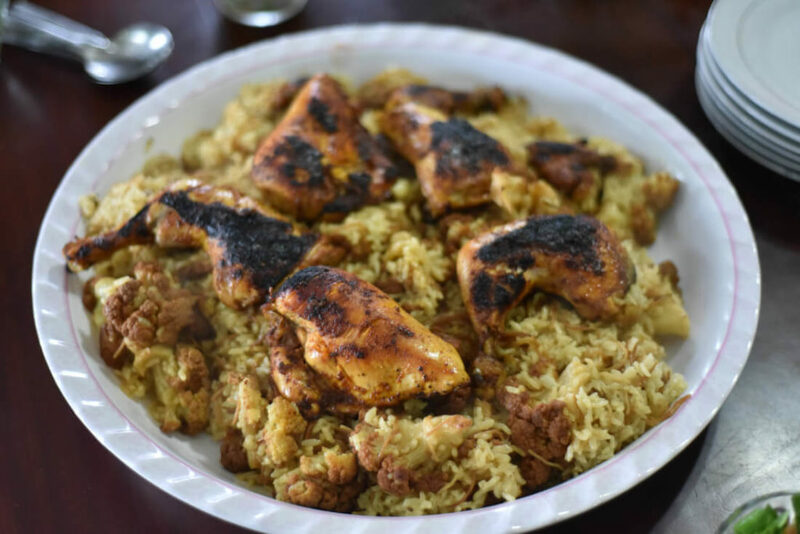 Makluba literally means ”upside-down”, because when it’s being cooked, the chicken is placed at the bottom of the pan so, when it’s ready, you pour out the contents, leaving the chicken on top. Eating makluba with the family! Ibrahim isn’t just an amazing host but he will also take you around the camp. Life in a refugee camp is pretty similar to life in any suburb, with the difference that here houses are not numbered, the streets are nameless, there are pro-Palestine paintings everywhere and Israeli police incursions occur pretty often, as refugee camps are where most of the pro-Palestinian activists come from. Handala. This is what became the symbol of the refugees. It was created by Naji al-Ali. Handala represents Naji al-Ali at the age of 10 years old, when he was forced to leave Palestine. He represents his turn back to the world, rejecting the outside solutions. The horror stories of the things that occurred in the camp were endless. Quite often, the Israeli police enter the camp, without notice. They target individuals who are suspected of attempting to attack Israel. In response to these incursions, groups of children and teenagers gather on the rooftops to throw stones at them, an act which, occasionally, the police respond to with violence, injuring and sometimes even killing children, whose faces are represented on the walls of Dheisheh. Me: Hey Ibrahim, I was wondering… Together with your family, have you ever gone back to Zekharia, your dad’s home village? Ibrahim: Yes, we did. Before the second intifada, it was possible for us to visit Israel without obtaining a permit. In 2000, some other friends from the camp and I organized a trip for our parents to Zekharia. It was the first time they ever went back there, after they were expelled in 1949. When we arrived, all our parents, whose sobbing could be heard from very far away, couldn’t hold their tears, remembering all those memories from the village they were actually born in. Israeli woman: Who is this? Israeli woman: Get out of here. I’m going to call the police. Ibrahim: We refused to leave because we were doing nothing wrong. However, the police came and, after a brief conversation, they gave us thirty minutes to leave the place. Hey Karin. Yes! Most times, when I travel to this countries I tend to have the issue of not meeting English-speakers locals. This time I was lucky and it made such a big difference! I was not happy with Airbnb at one point because it allowed listing of illegal (by UN resolution) settlements. But it never occurred to me that Airbnb’s lack of scrutiny can have a flipside, in that a refugee camp can also be listed. This was interesting, thank you. Hi Nuraini. Just today, I was talking with a Palestinian who told me the same. I had no idea that those settlements were listed on Airbnb as well… Shame! I hope more people stay in Dheisha and other camps. It would really help them a lot. Thanks! Hey Nick, thanks for your comment! I did! I even took good-quality pictures of the house and posted them on his profile but he doesn’t really know what he’s doing and he created 3 different profiles… I will look for the correct link. Thanks for pointing it out! I’ve spent a fair bit of time in Bethlehem myself, first with a friend I made in Sydney, and then with a local family who live closer to the main checkpoint. Palestinian refugee camps really do buck against the stereotype of the dusty tent in the middle of nowhere where people only have what they could carry with them. Of course that’s how they started. The fact they have become what they have is a sad indictment of the occupation, but also a commendation of the Palestinian determination. Hi, Emma. I totally agree with you. The fact that these refugee camps became like cities means that the Israeli occupation seems to have no end. Dheisheh, as well as many other camps, were built nearly 70 years ago. This means that the vast majority of the population residing in these camps are not refugees, but sons of refugees who grew up there, hence, they should potentially consider them their actual home. However, something that surprised me immensely was the fact that, even today, these sons of refugees were still considering the villages where their parents & grandparents were expelled from, their actual homes and, still today, they are dreaming about returning back there one day. That “right of return” is one of the big sticking issues in any future peace agreement between Israel and the Palestinians. 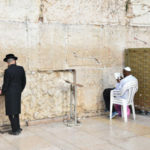 If Palestinians were to return to villages in modern day Israel, the Jewish nature of Israel would be severely compromised, which is not something that many Jews and Israelis are willing to concede. That’s really interesting. Thereis still a very long way to go in sorting out the problems of Israel/Palestine but it’s good to see such a positive example. This is incredible! And so interesting and unique an experience. I hope more people will stay here in the future, I know I would love to visit if I get a chance to travel there. I’m not going to lie, I got a bit emotional reading this post! What an amazing experience. The ability to be immersed in their culture and break bread with the family must be something you’ll never forget. I think if we all took the time to do something like this, there would be less conflict in the world. Hi, Jessica. I wish what you say is true! It’s a very good thing that Airbnb allowed to list a refugee camp. This will definitely help to improve their situation. It’s a just a very small step but so big at the same time! There’s always another side to the story, and In this case, for example, is that the three brothers from East Jerusalem did not give assistance to a ‘pro-palestinian activists’, but helped a suicide bomber to enter Jerusalem. While I can understand that you’d like to utter solidarity with the palestinians, do you realise that what you did is a active support of terror against Israeli civilians? probably not. Hi Omer, thank you for sharing your opinion. I really appreciate it, no kidding. I didn’t want to get too political but, as per your comment, it seems that I actually did. 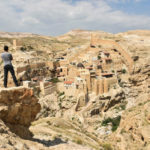 I’ve spent 45 days in Israel & the West Bank in total. 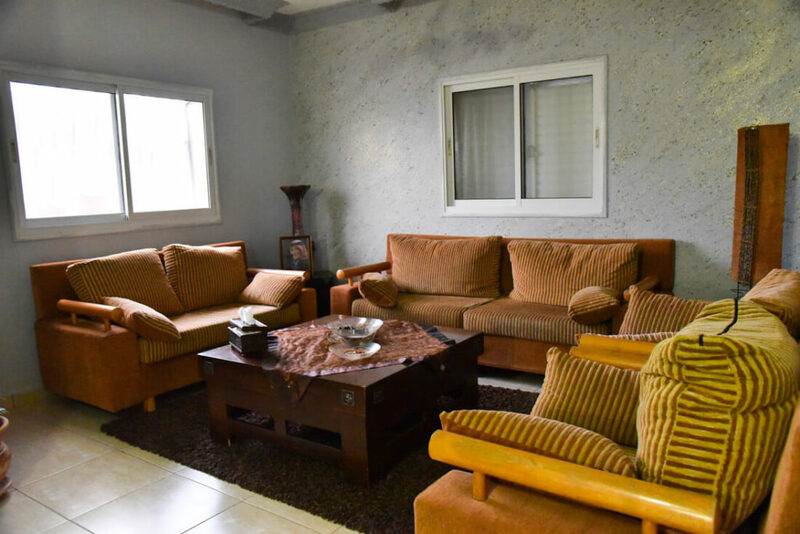 I’ve been Couchsurfing all my way across the whole region, staying and meeting all kinds of people: religious Israelis, atheist Israelis, Arab Israelis and liberal Palestinians and Israelis who are just seeking peace and love. I’m very lucky that finally, I can say that I got an overall glimpse of what is the situation like in this complex region. Whereas it’s true that, in some occasions, both sides (Arabs & Jews) have committed all sort of atrocities, currently, for the past 7 or decades I would say, the Israeli government is not doing things right at all. This is not my personal opinion but, the opinion of many Israelis I met, the opinion of most Governments and, basically, the opinion of any politician besides Donald Trump and people alike. Across the West Bank, I’ve seen with my own eyes, all sort of endless atrocities that the Israeli government is doing against the Palestinians: Building a wall within Palestinian land; appropirating the farmlands and properties of many Palestinians with nothing in return, drowning the economy of many cities (Qalqilya for example) because they practically surrounded the entire city with a wall. The settlements, which are illegal by the way, are just creating more hate and making things worse. I could write an entire book about all the things I’ve seen and learnt. I met a Palestinian whose kid was plugged to a breathing machine. You know why? Because the Israeli police entered the regugee camp, looking for a fugitive. You know what they did? They relased tear gas, so the baby breathed it and now he’s connected to a machine for life. They just act no matteer what are the consequences. In the end, the government got what they deserved but, unfortunately, its citizens paid for it. Hi Joan, and thank you for your detailed comment. As I’m (obviously) an Israeli, I must say that I agree with many things you wrote in your comment, and my political agenda is kind of opposite to Bibi Netanyahu’s and his current government. My previous comment had nothing about that, but about calling to assistants of terror political activists, Thats all. I also believe that you cannot justify terror against civilians by the difficulties of living in ‘refugeie camps’, as in many cases the ‘refugees’ themselves refuse for any kind of attempt for making their life better, because of the fear of losing their ‘refugee’ status. That being said, I still wish that one day the ugliest structure on earth will be teared down, and I will able to go shopping in Qalqilya, which is only 10 kilometres away from my hometown. I hope that the palestinians will have their own, independent state, but I also have my eyes opened and cannot see a peace of any kind that is possible right now. Not when we live so close to each others, yet worlds apart. Hi Joan, this was very interesting. Well done on choosing such an unusual Airbnb rental. I like your writing yet it has several biases, and I think it’s important to address them as objectively as possible for the sake of readers that are less familiar with the complexities of the situation. It is easy to identify with the weaker side, and to take things out of context. I lived in Israel for 19 years. My family decided to immigrate to Israel after suffering harsh antisemitism in Russia. The 3 brothers you mention who “helped activists” were responsible for suicide bombing in Jerusalem. 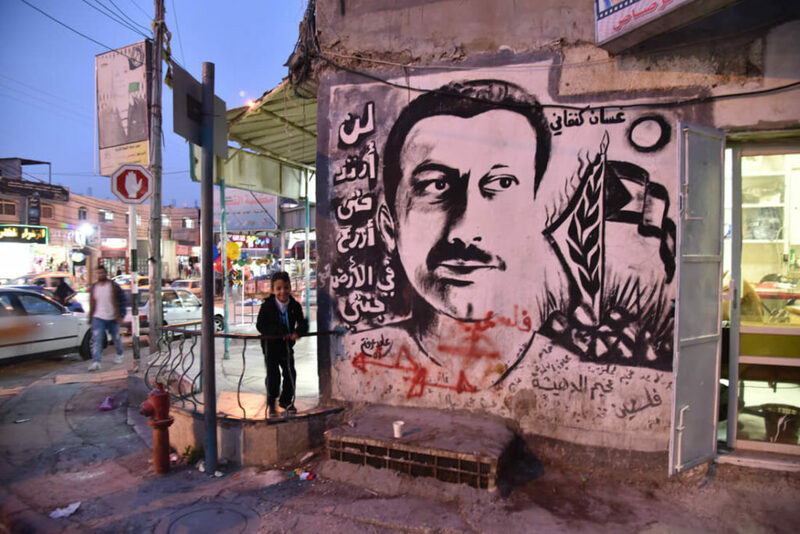 The so called martyr, Ghassan Kanafani, “murdered in cold blood by Mossad” was responsible for more than just writing. He was involved in the Lod airport massacre which killed 26 civilians and injured many others. The rest of the martyrs must have had similar backgrounds. So let’s call these for what they are, terrorists. Israel’s severe response might be the only appropriate one. Similarly, the atrocities you describe: building walls, entering the camps with tear gas. 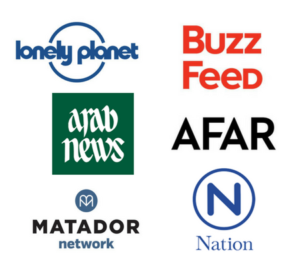 Though unfortunate, these are all consequence of horrid terror attacks against Israel. It is true that the Israeli government has made mistakes. But holding it as the sole party responsible is wrong. The Palestinians were offered a two state solution several times, yet their leadership and arab nations chose to declare war, and lost. The refugee situation is a result of that. Some fled their villages, some were expelled. The arab nations could’ve taken some responsibility and accepted refugees into their borders. Instead, Israel is left to deal with the situation almost alone, providing jobs and supplies (food, water, construction materials) to refugees, all the while dealing with hate and terror. The history is long and convoluted. Who is right? Sometimes it seems the answer depends on how far back in history you reach. I don’t believe there’s a black or white answer to this. In practice, I don’t think it matters. Most Israelis would like to see the refugees prosper on their own land and live together in peace. But as experience shows this is very hard to achieve due to groups of arab extremists with an all-or-nothing mindset. Israel already tried that, for example, when it gave back the Gaza strip, tearing its own homes from it. In return, more terror attacks followed. I think that as long as the few arab extremists rule the many, there could be no solution. Hi Leo, thanks for expressing your opinion. Regardless I agree or not with what you say, what is true is that there is no black and white and we will never know the real truth. This topic is extremely complicated, as it started a few thousand years ago. However, you are very wrong on one point. The Arab nations have accepted Palestinian refugees. 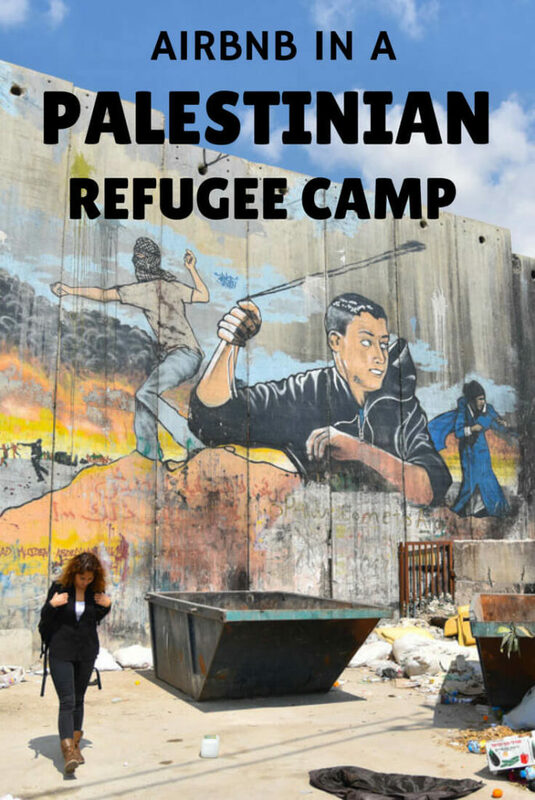 I’ve been myself in a couple of Palestinian refugee camps in both Jordan and Lebanon. Actually, in Lebanon, Palestinians compose a very big part of the total Lebanese population. Israel didn’t have to deal alone with all these refugees. Hi Joan, I and my 13 year old son just returned home from a quick trip to Lebanon, Jordan, Israel and Palestine. On your recommendation we stayed with Ibrahim’s family. We had a lovely time and highly recommend the stay to anyone travelling in the area. As a Canadian we are used to a very one sided view of Palestine. Staying with Ibrahim and Aya offered us a great opportunity to break stereotypes and learn first hand what life is like in Palestine today. We also took a tour of Hebron with Ibrahim. I agree with your assessment that it’s one of the most troubled places n Palestine. 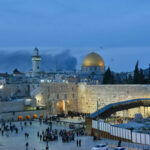 I recently read an article that describes the city as a microcosm of the larger Israeli-Palestinian conflict. 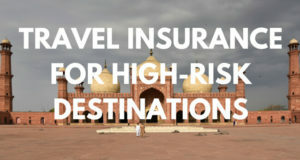 Thanks so much for your blog and the helpful travel tips. I should mention that the young woman who had arrived to stay the night after us also heard about Ibrahim and Aya’s Place via your blog. Hi Karen, thank you for your comment! 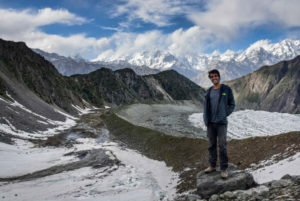 I am so glad that you had a lovely time with Aya & Ibrahim and very happy to know that several people are hearing of this place through my blog 🙂 Ibrahim is a great man and is texting me very often to show his gratitude. Anyways, I hope and am sure that, in Canada, you will be telling awesome things about all the Arab countries where you’ve been. Enjoy and all the best! Hi Joan! I enjoyed a lot your post! I’m planning to do a trip to Jerusalem and looking for a low-price Airbnb found by luck, just like you did, Aya and Ibrahem’s place. I’m very keen to make a reservation with them, but I’m afraid of how the customs agent at Tel Aviv’s airport could react if I tell him/her that I will stay in a refugee camp… how would you suggest me to manage that? Can they forbid me the entrance to Israel? I’m planning to stay there only for 2 days. Thanks!